Media Release Nov 12, 2017. 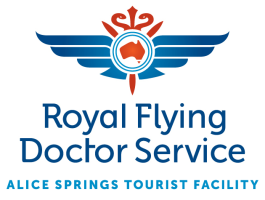 The RFDS Darwin Tourist Facility is proud to be a 2017 Brolga Northern Territory Tourism Award recipient after winning the coveted New Tourism Business Award last night. 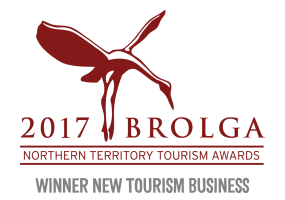 A total of 19 businesses and three individuals were winners at the 31st Brolga Awards which recognise tourism excellence. The New Tourism Business Award recognises new tourism businesses that demonstrate excellence in the planning and development of new tourism infrastructure and/or services. “The passion shown by our tourism operators is a wonderful reflection of our incredible attractions, tours, unique experiences and culture in the NT,” says Lauren Moss, Minister for Tourism and Culture. The facility was described by judges as a wonderful addition to NT tourism and a truly engaging tourist experience. Accepting the award, RFDS Central Operations General Manager Northern Territory, Michael Toomey, says the RFDS is proud to have won this prestigious award for the RFDS Darwin Tourist Facility. 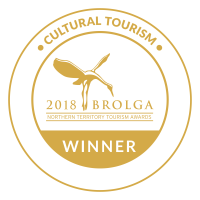 “We’re honoured to be represented amongst such a high calibre of winners representing the best of tourism in the Northern Territory,” Mr Toomey says. Business category award winners will now represent the Northern Territory at the Qantas Australian Tourism Awards with winners announced in Perth in February 2018. 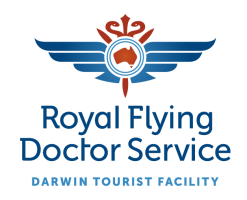 The RFDS Darwin Tourist Facility, which opened in July 2016, brings together two iconic elements of the Territory: the RFDS, which began operations in the NT with the opening of its Alice Springs Base in 1939, and the bombing of Darwin on 19 February 1942 – the largest single attack ever mounted by a foreign power on Australia. “Both of these historic events helped forge the resolve and resilience of the people who live in the Northern Territory,” Mr Toomey says. facilitating more than 16,000 primary health consultations through the transport of health professionals to isolated communities.